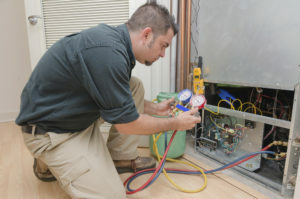 With a focus on residential and light commercial heating & air conditioning, Meister Heating & Air Conditioning has been serving residents and business in the Peoria area since 1965. This rich history in our community has given us the opportunity to be an elite Trane Comfort Specialist Dealer, a recognition only given to a certain few dealers. We’re proud of the work we’ve done for over 50 years, and plan on keeping that same great customer service for decades more. We look forward to giving your family and employees the daily comfort and peace of mind they deserve. Call us today at (309) 697-5810 to get the conversation started and be a part of our rich history.